Time to bring out your cameras and point them to the sky! 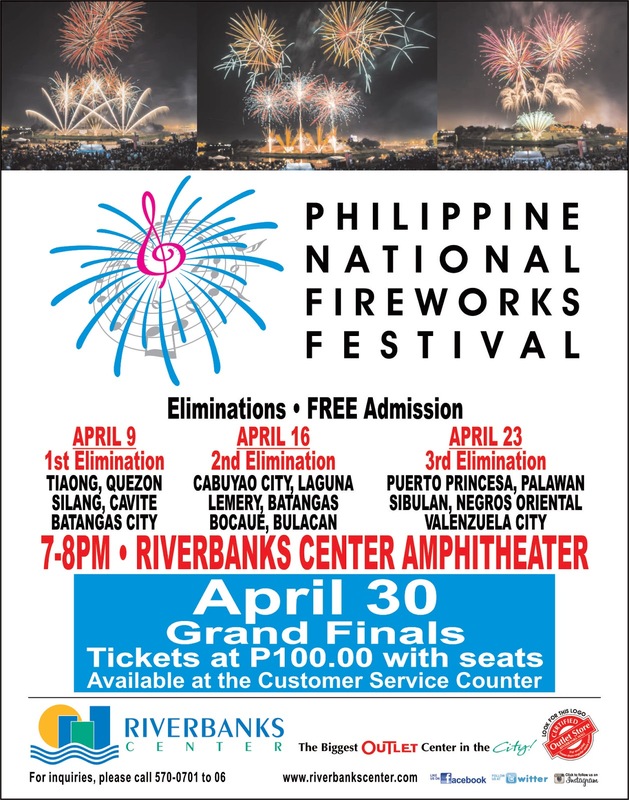 Come visit the Riverbanks Center’s 5th Philippine National Fireworks Festival 2016 (PNFF). Participants joining the competition will be coming from Quezon, Cavite, Batangas, Laguna, Palawan, Bulacan, Negros Oriental and Metro Manila. The competition starts on April 9, and continues on April 16, and 23 for the Eliminations. The Grand Finals will be on April 30 from 7pm-8pm at the Riverbanks Center Amphitheater.